Summer’s arriving fast, and it’s time for us to show a little skin in our itsy bitsy shorts, tops and bathing suits. To those of us with dry skin, shedding our clothes for all to see what’s underneath isn’t necessarily our idea of a good time. Flaking, irritation, redness and more; the discomfort and insecurity that come with dealing with the visible effects of dry skin can ruin what is supposed to be considered our “fun in the sun” season. Some begin to ask themselves, is there even a solution? Many already know about body lotion; you slip it on, rub it in, end of story. Sure, the moisture is there, but it’s slipping and sliding on the surface of your skin, making you feel uncomfortable and looking as shiny and slick as ever. There are those lotions out there that can feel way too greasy and aren’t nearly moisturizing enough. Some lotions are even made with harsh chemicals. What we apply to our skin should not only feel comfortable, but be healthy and beneficial for us too. We want to nourish our skin when it’s dehydrated, not irritate it even more. The solution is simple; IMAGE Skincare has introduced a body lotion that can truly quench your skin with hydrating ingredients. Our VITAL C hydrating hand and body lotion can completely revitalize your skin! This paraben-free lotion is infused with shea butter and nutrient-rich oils, allowing your skin to become ultra-moisturized and healthy for the summer. Formulated with four powerful forms of Vitamin C, this lotion is packed with a supercharged antioxidant complex, which brightens the skin and helps to increase its elasticity. Vitamin C is starting to sound pretty good, right? The antioxidant properties of Vitamin C are vital for skin health. With its incredibly beneficial effects on skin cells, it can help create firmer-looking and feeling skin, while fighting against uneven skin tone and frustrating dark spots on your face and body. Those of us worried about the harsh sun’s aging effects on our skin can apply this lotion daily and combat the visible signs of aging, while nourishing the most dry, dehydrated, even sensitive areas of skin. 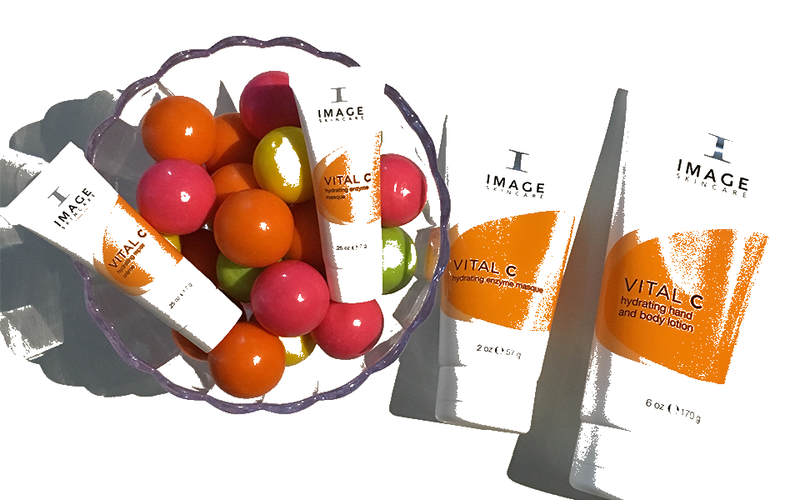 With the delicious scent of citrus and oranges, our VITAL C hydrating lotion can help you smell good, feel great and look beautiful this summer. It’s perfect for all skin types, especially those that are immensely dry and dehydrated. So, don’t hide your skin; show it off this summer! 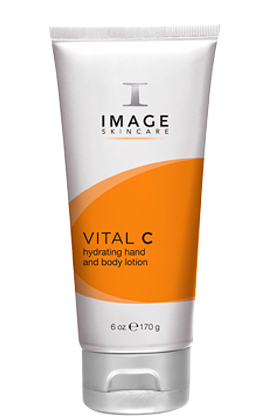 Feel comfortable and confident with our VITAL C hydrating hand and body lotion!